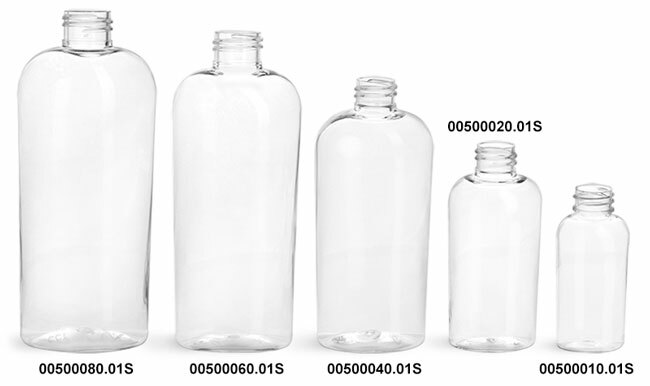 The clear PET plastic oval bottles are available with various black dispensing pumps. 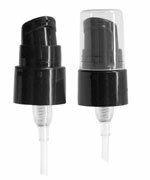 The treatment pumps come with a clear hood and paired with the 1 oz and 2 oz clear cosmo ovals. 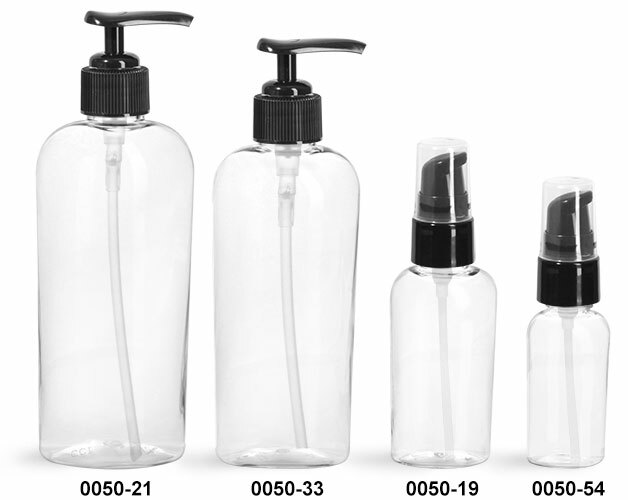 The treatment pumps dispense 190 MCL of product per stroke. Black lotion pumps available with the 6 oz and 8 oz clear PET cosmo ovals, are shipped in the locked position.